The exceptional precision of our temperature calibration baths is achieved through a sophisticated 2-cylinder system with a uniform vertical flow throughout the utilised portion of the tank, combined with a finely balanced high-performance microprocessor control loop. 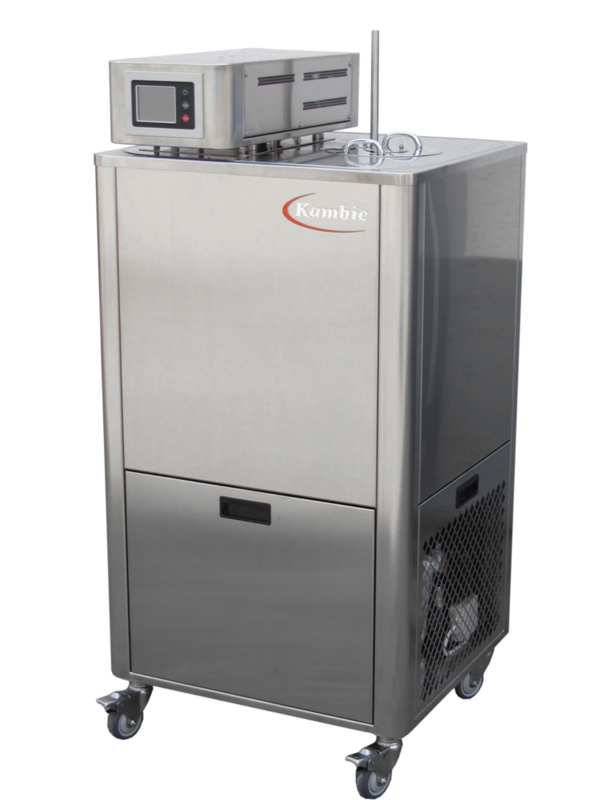 Calibration baths are ideal for calibrating temperature sensors, transmitters or even complete temperature systems. Not only do they allow calibration of multiple systems at the same time, but also offer the added advantage of accommodating sensors of all shapes and sizes. Finally, there is an assurance that sensor and reference are always subjected to a uniform temperature. Employing various cooling systems, depending on the model's temperature range. These can range from simple tap water cooling through to integrated compressors or even multi-stage cascade-compressors for the models with ultra-low temperature ranges. We are always on hand to offer expert advice and technical support. Our engineers have experience with working with a range of clients on various projects. We can help you to select the right calibration bath to suit your requirements and our after sales care is exceptional, offering extra reassurance. We offer custom solutions – Please contact us and describe your specific requirements and we will offer you a tailored system!